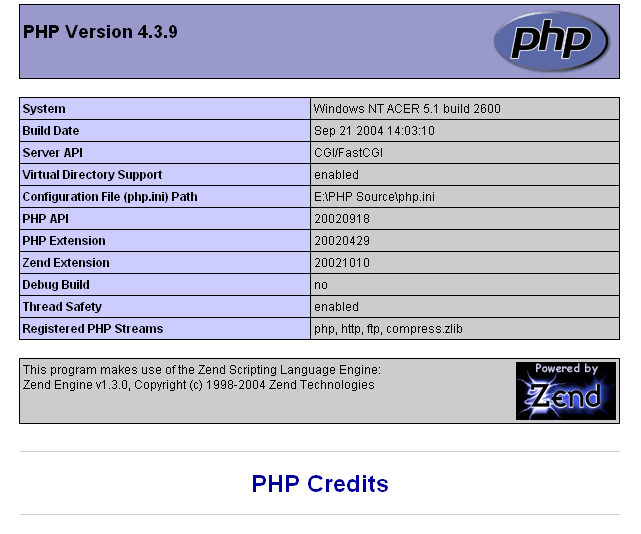 First of all, you need to download a version of the PHP binary (zip package, not the installer) from http://www.php.net/downloads.php. Download a Binary version and unzip it to a location of your choice. I recommend C:\PHP. Any PHP version, either V4 or V5 will do. V4 is more compatible but V5 is more powerful. I use PHP V4 by default. If you downloaded the php5.exe file you need to install it like you would with a normal program. 1. 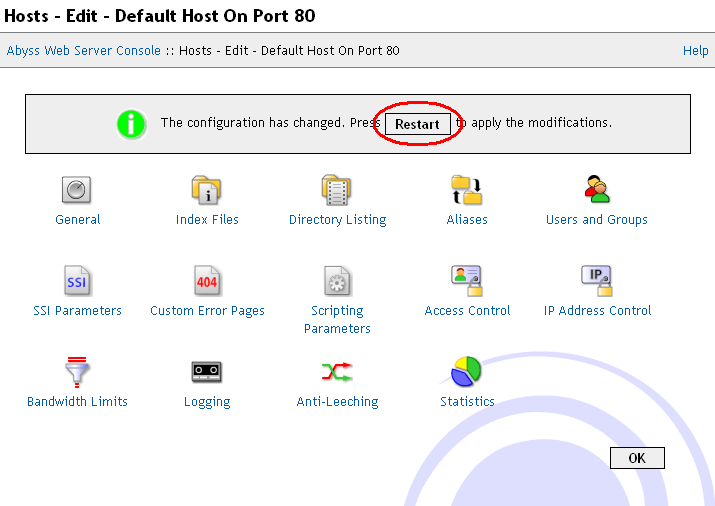 Open up the Abyss Web Server Console window and click the "Configure" button. 2. 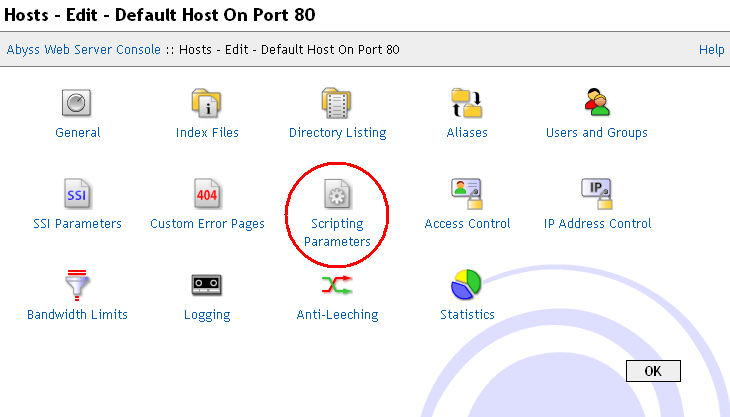 Click the "Scripting Parameters" button. 3. Click "Add" on the interpreters table. 4. 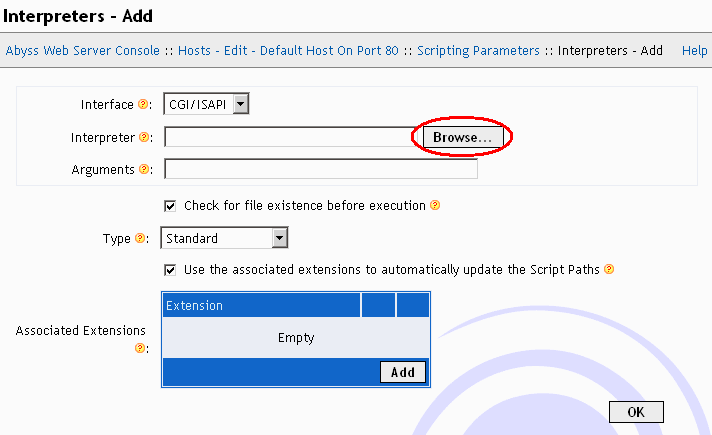 Click "Browse" next to the interpreters input box. 5. Select the php.exe from the location you un-zipped the package to In my case E:\PHP Source\php.exe. 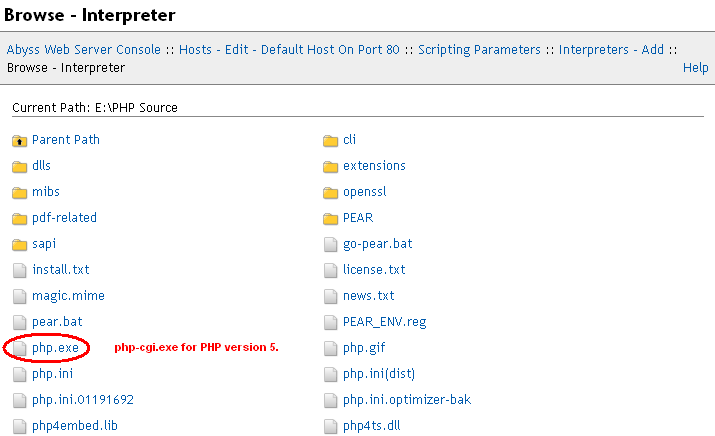 Note that you should select php-cgi.exe if you downloaded php version 5. 6. Click "Add" on the Associated Extensions table. 7. 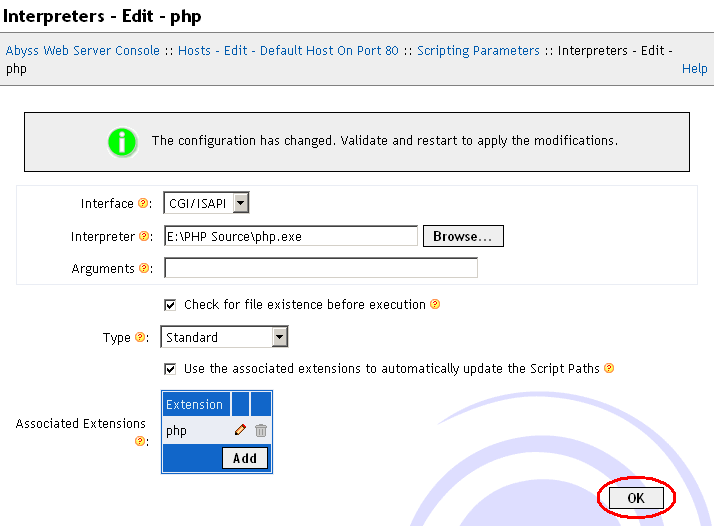 Enter "php" into the extension box then click "OK". 8. You will be returned to the Interpreters window. Click "OK". 9. 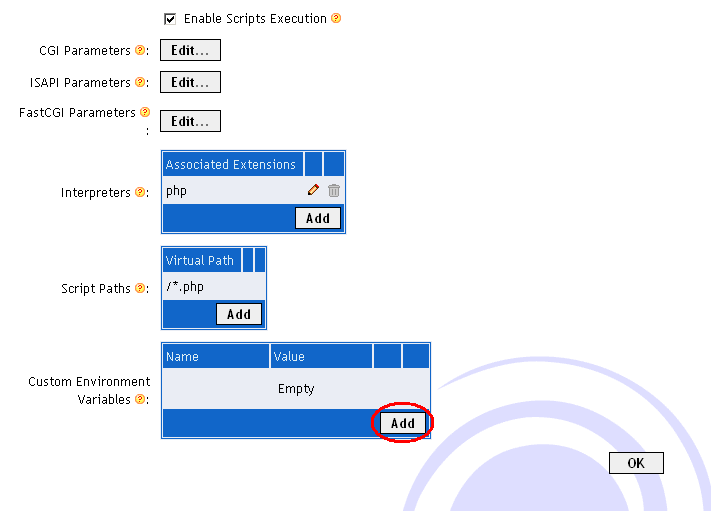 Now scroll down to the Custom Environment Variables table and click "Add". 10. Enter the values you see in the screen shot and click "OK". 11. 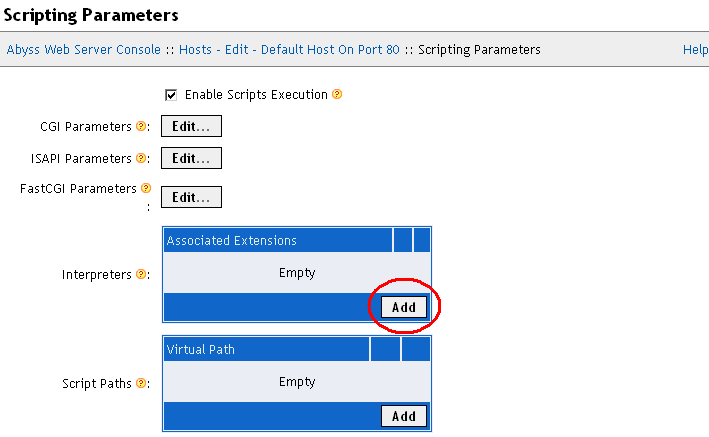 You will be returned to the Scripting Parameters window. Now click "OK". 12. You will be returned to the Configuration window. Now click "Restart". 13. Thats it. PHP is now installed. 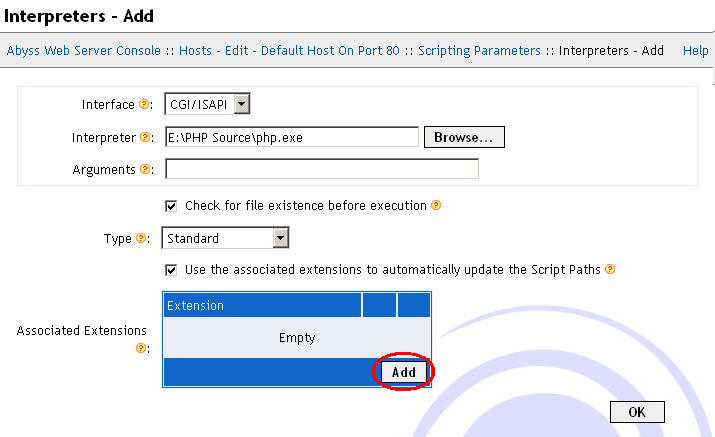 Create a new text file with notepad and enter the following code to check if PHP was successfully installed. 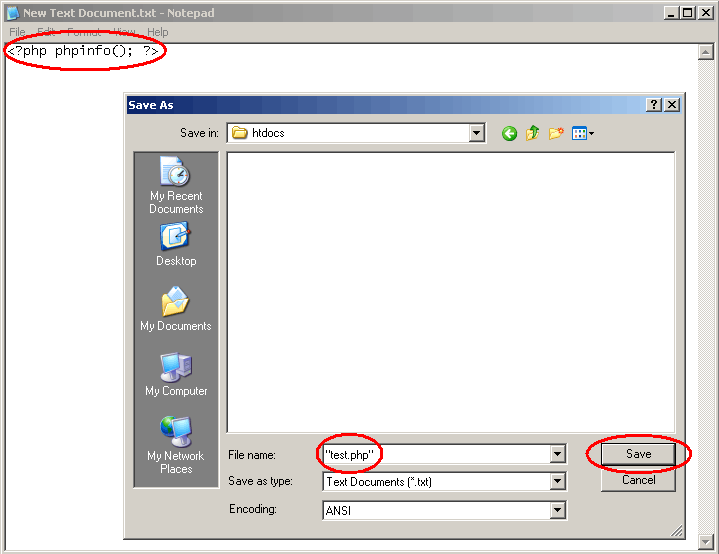 Save with the filename in double quotes, into your htdocs folder located at C:\Program Files\Abyss Web Server\htdocs. 14. Browse to http://127.0.0.1/test.php and see the results. 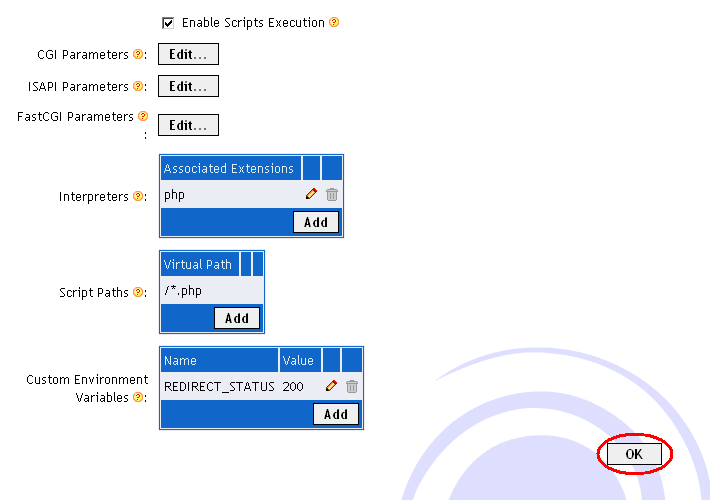 If you see something similar to the screen shot then PHP is installed correctly. If not, then retrace the tutorial and make sure you didn't make any mistakes. Also check that you have put the file in the correct folder (your htdocs). If you still cannot get PHP working, post on my forum and someone will help you. Remember to post what you have tried and the results you got. For ease of use, you might want to add index.php to your Index Files configuration. How?